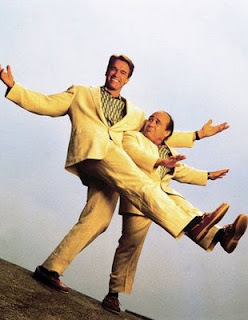 Nobody remembers woeful 80's "comedy" Twins, featuring Schwarzenegger and Danny DeVito as, you guessed it, twins ("hilarity" ensues). 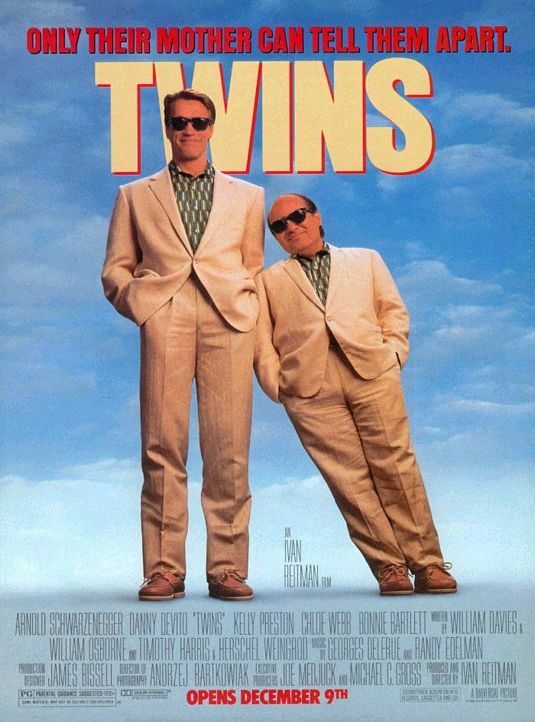 I only remember it because I watched it while on a school trip in Germany with my class back in 1989, and we spent the whole time swearing in French in the audience, safe in the knowledge that nobody would understand us, and that was by far the height of hilarity reached during the screening. (Oh hearing Schwarzenegger speak in German in the dubbed version we saw made us chuckle. I still remember the immortal line: 'Wir sind bruder!). As for the story, I vaguely remember Arnie living in some kind of utopian island that looked like Paradise island from Wonder woman except that this one only had men wearing white only. And Danny DeVito was a small time crook of some sort. 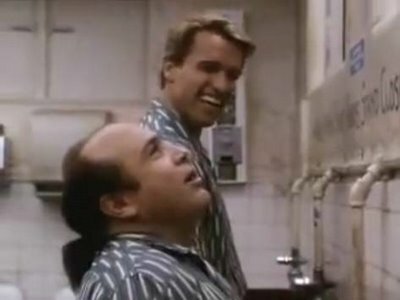 And then Emma Thompson turned up and Arnie got pregnant? No hang on this is Junior (1994). Crikey I hope they are not reading this or we might be treated to a sequel! I have no idea what the story could possibly be on Twins 2. Maybe they could do a mash up with a Parent trap sequel, featuring them two having to babysit Lindsay Lohan and her CGI twin having turned to booze. Maybe they can hatch a plan to save their retirement home's occupants thanks to the regenerative force of an alien cocoon? Ah, it's been done before, and Steve Guttenberg was in it. Remember Steve Guttenberg? While I can think of several films featuring the ex Californian Governor that I'd love to see a sequel of (True lies, Commando, Hercules in New York...) this is just a bizarre choice, a few days after announcing he would feature in Terminator 5, to be directed by Fast Justin Furious Lin. Is Californian state pension so bad that he is having to slum it in such undignified roles? The highlight of his Terminator 3 part was him wearing pink star shades with his full on leather biker outfit, how low will he go?